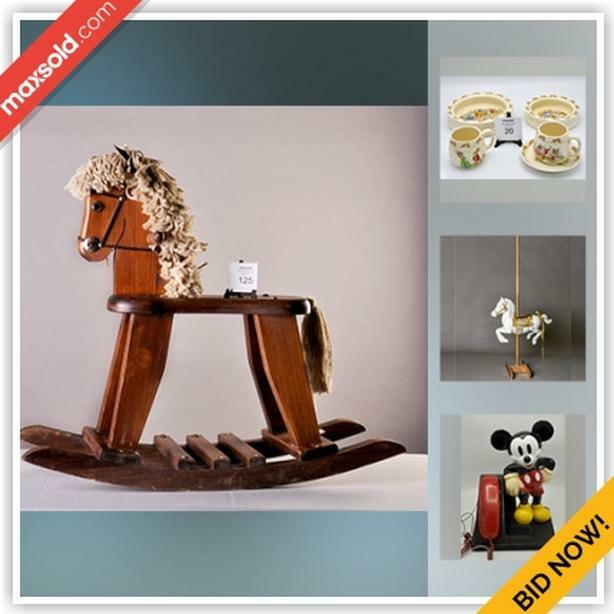 This auction features Beswick St. Bernard Figurine, Pyrex mixing bowls, Royal Doulton Bunnykin dishes, Decorative Carousel Horse, Vintage Mickey Mouse Phone, Royal Doulton Figurine, Tupperware, Carnival glass punch bowl, Tonka Dump Truck, Vintage Reproduction decorative gramophone, Royal Crown Derby, Beer Steins, Wooden Rocking Horse and much more! ). Everything will SELL BY Wednesday April 17, 2019 8:00 PM regardless of price - everything starts at just $1. For more information, please visit our website.